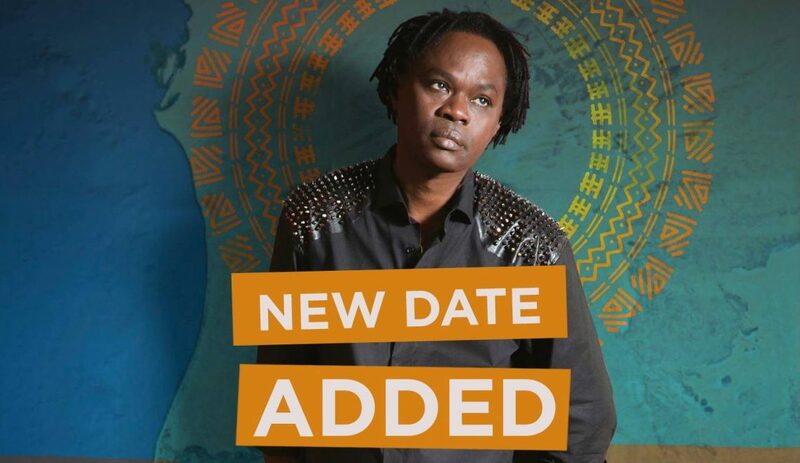 Book tickets now to get rare access to an intimate show with Baaba Maal. Baaba will be performing solo – without his band the Daande Lenol or his group of travelling musicians. This pared down performance is bound to captivate with Baaba’s voice taking centre stage. The first show will be at London’s Union Chapel on Thursday 26 April 2018. Be sure to reserve your tickets soon as this event is likely to sell out quickly due to it’s very special format and nature. UPDATE: the show on the 26th is now SOLD OUT but we are pleased to announce a second London date. Baaba will be performing again on the 27th April so if you haven’t picked your ticket up yet, you’re in luck. Get in there quick before this night sells out too. ‘For years I have been discussing global sustainable development with many amazing organisations, including Oxfam and the UN,’ says Baaba Maal. ‘And now I have decided that this is the time for me to create a means to help people to set up their own sustainable businesses. NANN-K will liaise between people who wish to progress in agriculture but are unaccustomed to dealing with the financial institutions who can further their plans. NANN-K will act as a gatekeeper, taking on the task of organizing funding, either from government loans or through commercial, private financing. A Pulaar word, ‘NANN-K’ tellingly translates as the phrase ‘Listen to this.’ And in its original language spells out the initial letters of the five crucial elements with which it will be concerned: Agriculture; Fishing; Livestock Farming; Culture; and Technology Access. The notion of NANN-K came to Baaba Maal in a midnight reverie. But the project is far from being a dream. The intention of NANN-K as an organisation is that it will support people from Senegal, Baaba Maal’s own country, and then throughout Africa, in developing a career in agriculture – through farming the land, raising animals, and fishing. All these are time-old rural pursuits but they have never been organised or brought into the 21st century, let alone combined with the latest digital thinking. cooperative structures, allowing small family farms to remain independent whilst tapping into a larger support network. NANN-K also interfaces with the Senegalese government: the NANN-Kk agricultural structure permits considerable opportunities for dialogue and cooperation between farmers and the government. NANN-K was launched in Dakar on March 28th 2016, International Woman’s Day, with a concert by Baaba Maal. The date was chosen to honour the involvement of women in the development of business in Africa. There has since been a first anniversary show at Dakar’s Amadou Barry stadium. On May 6 at Zenith in Paris there will be a Daande Lenol concert, featuring special guests, to launch the project to the African diaspora. ‘It is very important that the diaspora become involved,’ says Baaba Maal. ‘The diaspora are already trying to help in their own ways andNANN-K will assist them to do this by creating transparency and giving them opportunities to help the communities as a whole, not just individuals.